Website development is by no means difficult or there wouldn't be so many websites available, but for the church minister or webmaster who is trying to develop a church website there is the question of where to begin. For those who already have a website there is the question of what can be done to make it better. Timothy Fish provides a path through the maze of web technology. By following this path a church can have a website that is functional, inexpensive and easy to maintain. 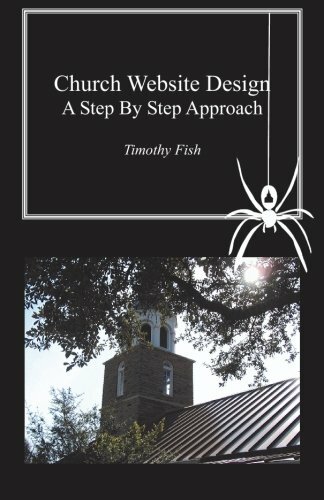 There are many books available that describe how to use web technology, but this book focuses on the details of designing and developing a church website. The reader will come to an understanding of the church's need for a website, the things that should go into the website, how to implement the website and what to do when it is done. If you are looking for one book to tell you what you need to know about developing a church website, this is that book. View More In Church Administration. If you have any questions about this product by BookSurge Publishing, contact us by completing and submitting the form below. If you are looking for a specif part number, please include it with your message.